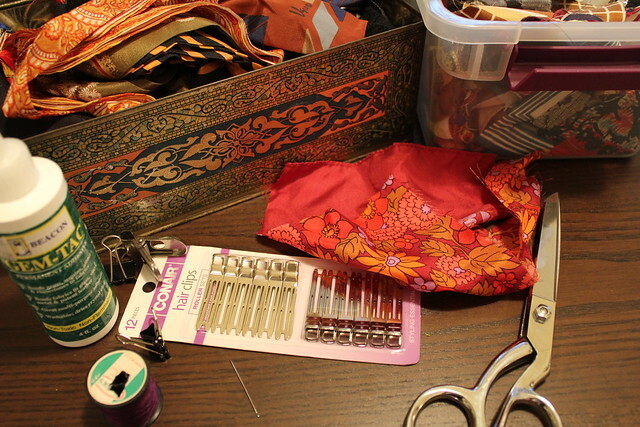 Taking out all of my Anamu accessories for the moving sale really made me crave being crafty. And since I'd been meaning to make hair clips for my nieces this was the perfect opportunity to go for it! 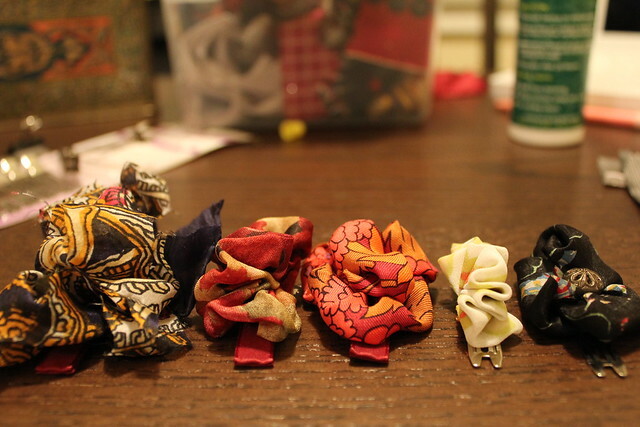 I bought some clips from the drug store and used scarf scraps to make the "bows" (or fabric blobs if we're being honest). 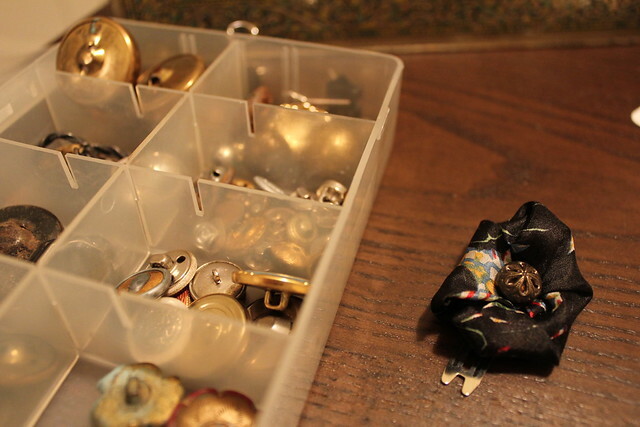 One of them was even given a little extra pizazz with a small vintage button from my collection. The clips are a bit funky but my sister and I love how they turned out. Can't wait to see little Juliana and Isabella wearing them!